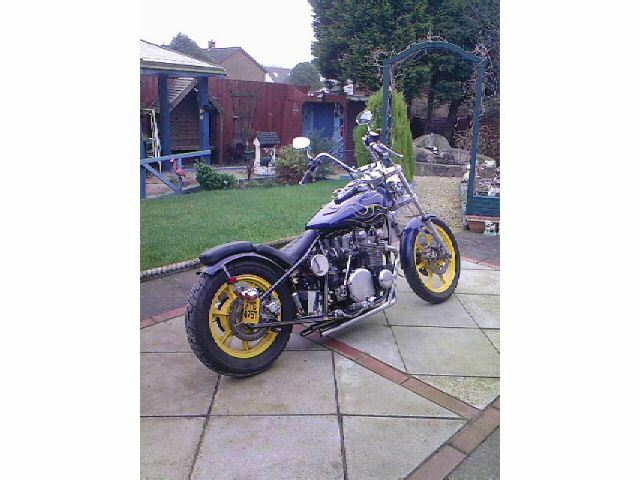 twin spots, bandit filters, GSXR carbs (dynojetted), Acewell speedo, Highway Hawk bars and grips, pads, chain, twin 8" race cans, Goodridge hoses, leads and caps, Harris rearsets, battery, Boyer electronic ignition, seat, wheels enamelled and all chrome. 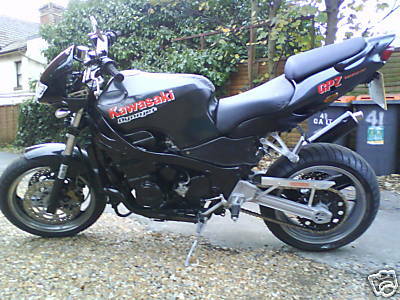 Kawasaki Tracker 750 1982 CSR 750. 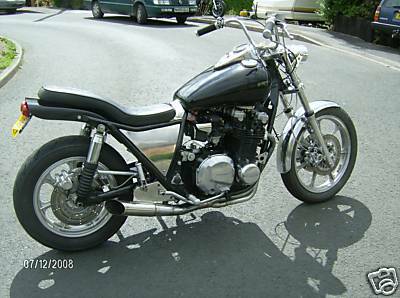 I smoothed the frame to look a bit like a Rickman Bros. unit, mixed it up with KZ1000 front forks & 19" ENKI wheel, used a KZ750 rear wheel & disc brake setup. 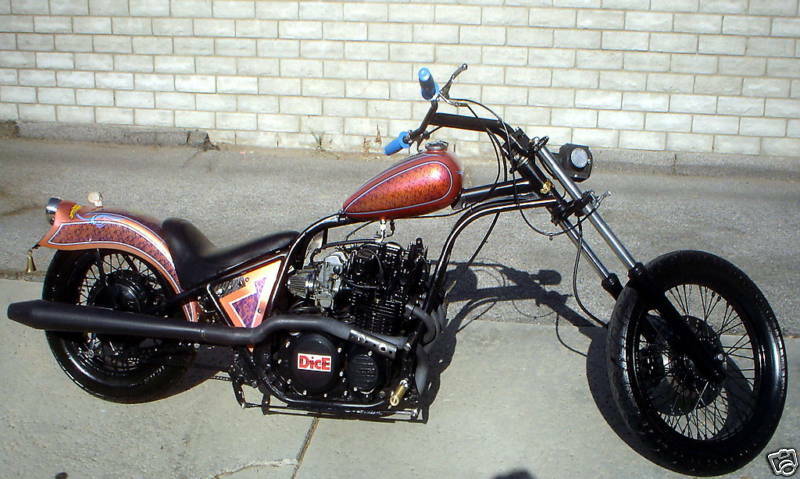 Flanders Bars, J.C.Whitney gauges, Harley 750 Flat track Seat pan & two 55 watt driving lights mounted on the fork leg. 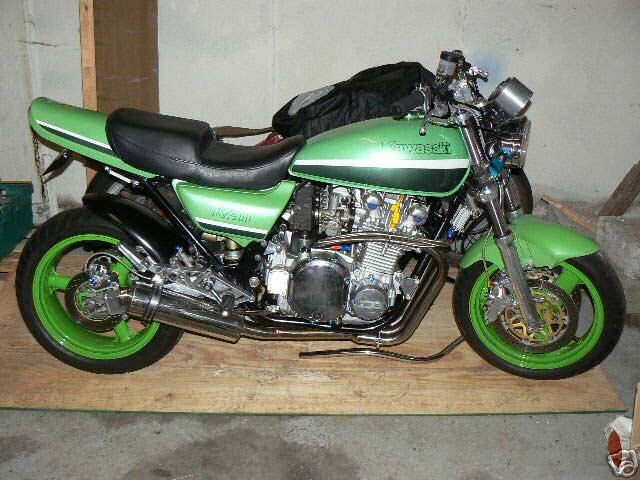 The Goal is all powdercoating with a clear top coat. 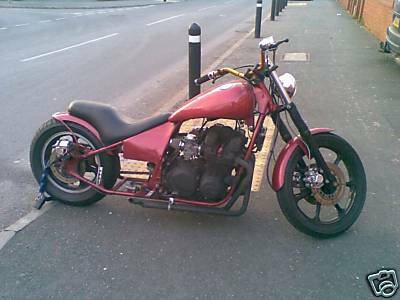 5 speeds kick and electric start. 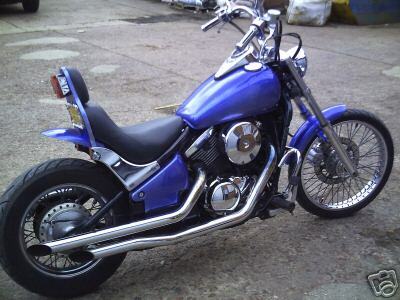 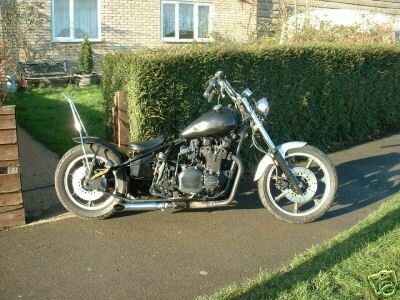 Kawasaki Vulcan 800 Kawasaki Bobber/Chop This is a rigid...no electrics on the handle bars...hand made pipes, fender struts, attitude stick (if you must Sissy Bar), Chopper Bag & Fork Skins. 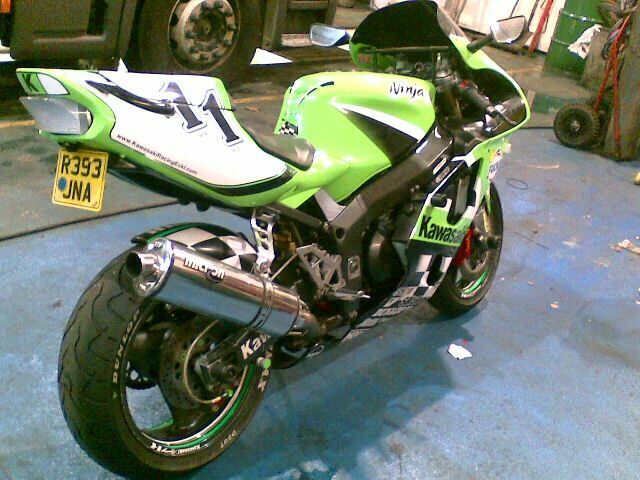 We made up the tail light, modified the Air cleaner to fit, made a dual cap tank out of the Kawi single cap unit, made our own mounts to replace the 7" big chrome headlight with a Bates style side mount 5.75" unit. 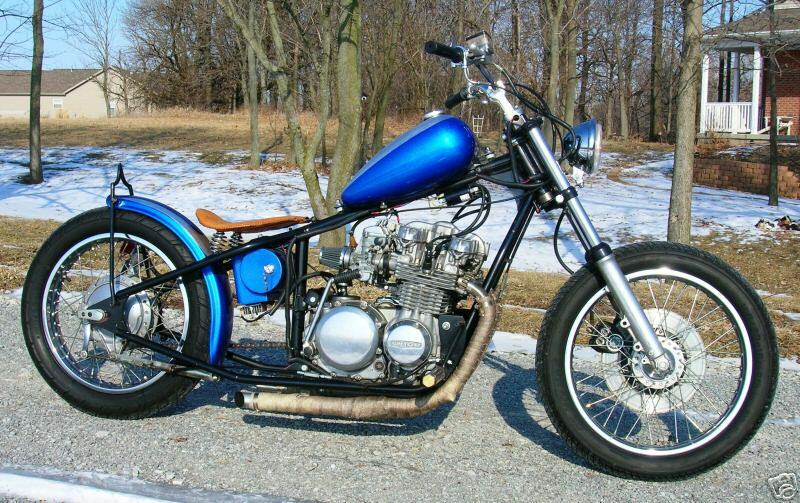 The bike is lowered 2.5" and runs 150/80 16" F&R tires. 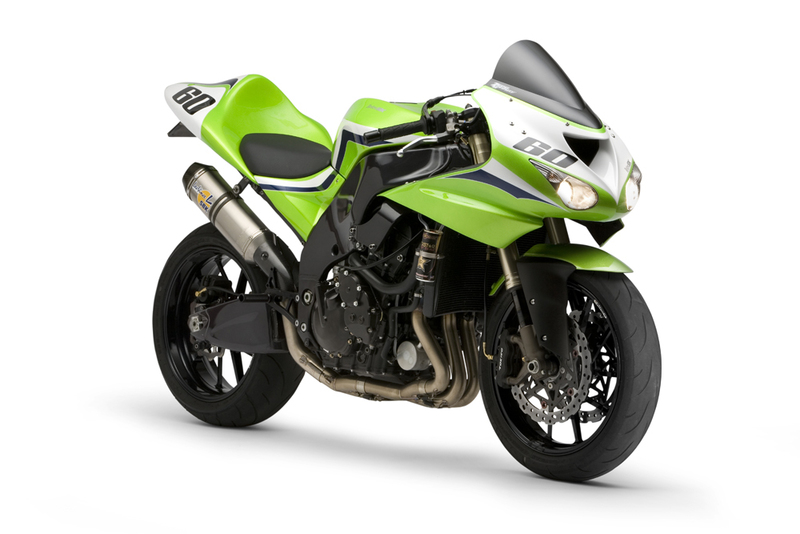 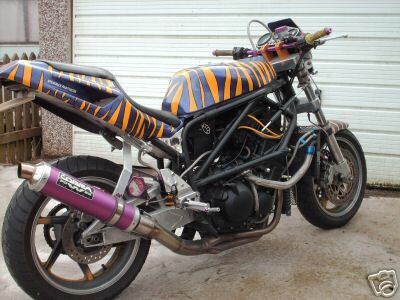 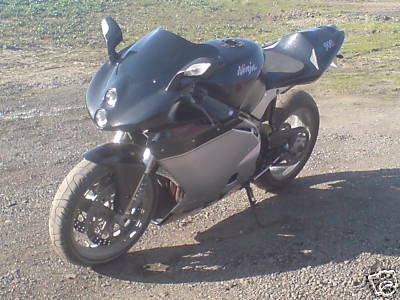 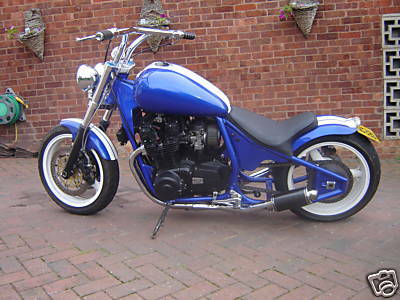 This 2005 Vulcan 800 is light, low, & loud. 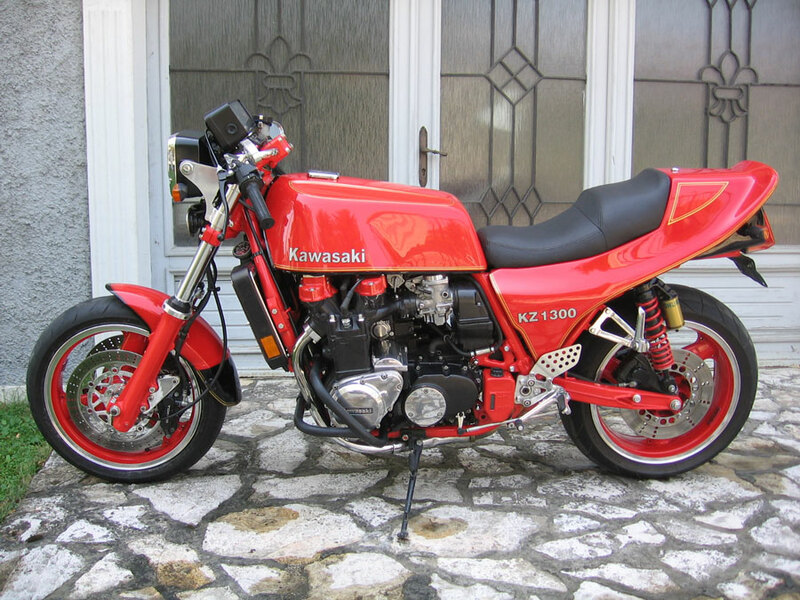 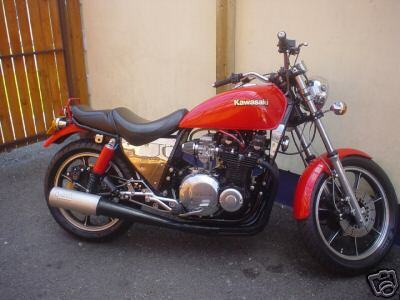 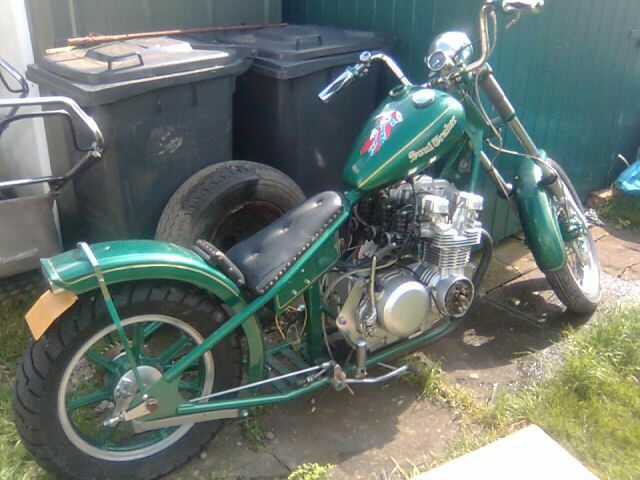 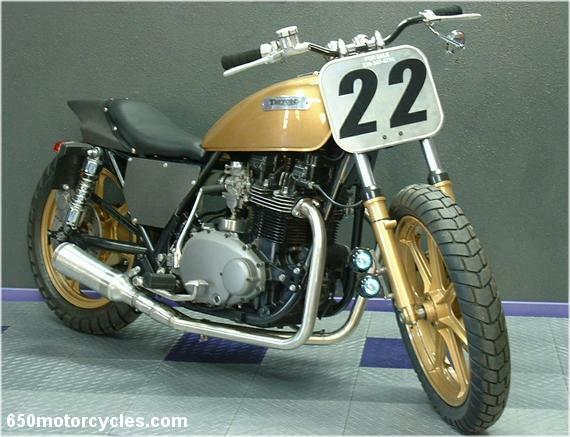 1975 Kawasaki Z400 Hardtail Chop 398cc, 70bhp. 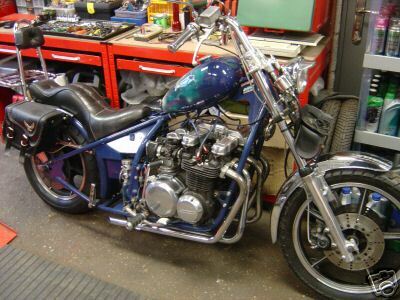 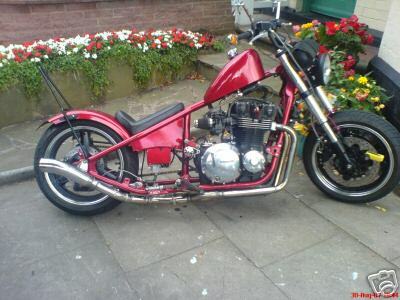 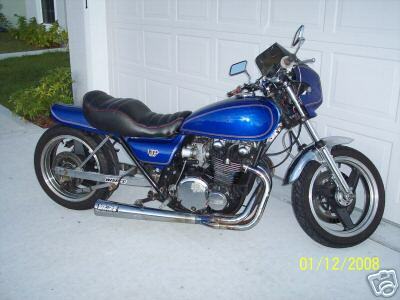 1979 Kawasaki Z1000 Chopper 1015cc. 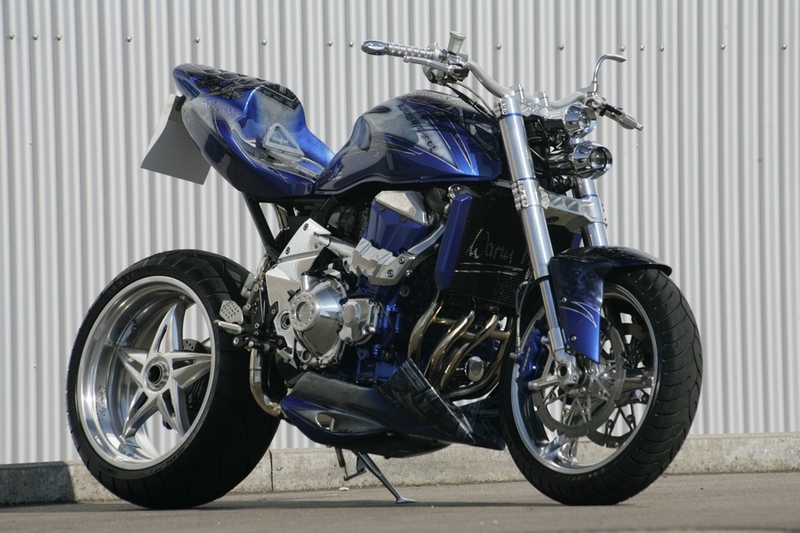 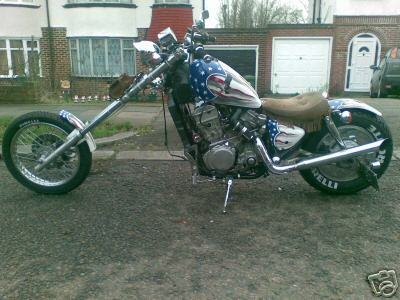 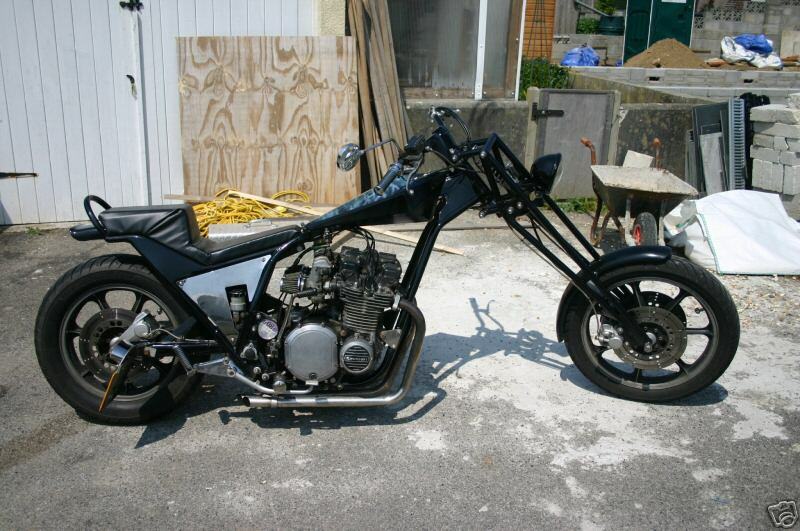 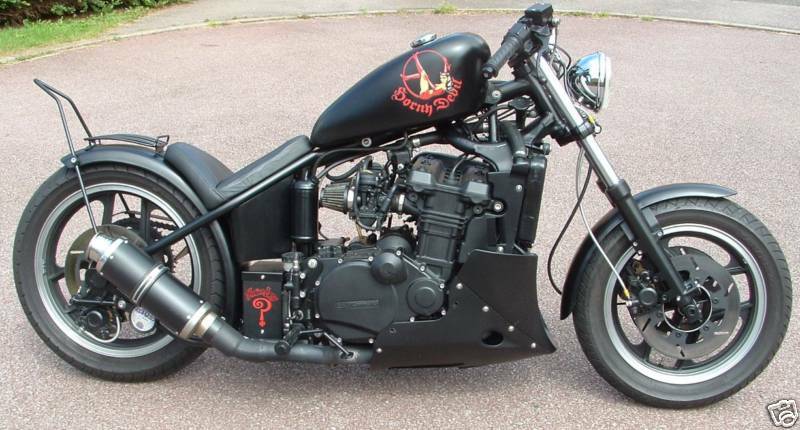 This chopper is fully customized with custom pait, wide front forks with floating calipers. 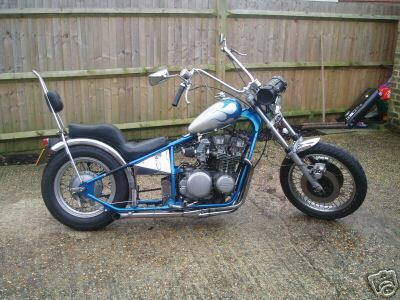 1980 Kawasaki Z650 Chopper 652cc. 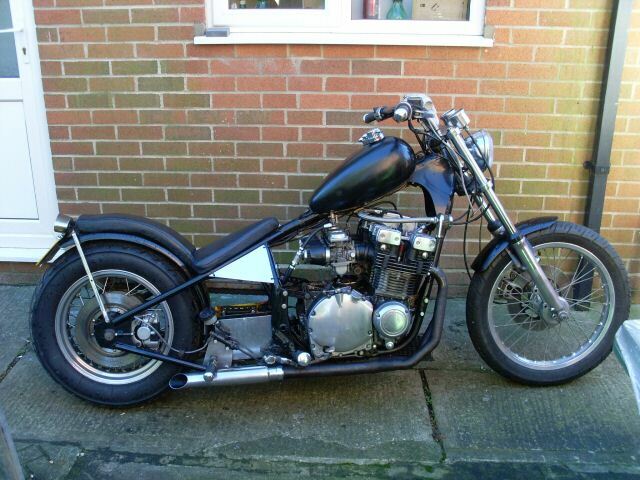 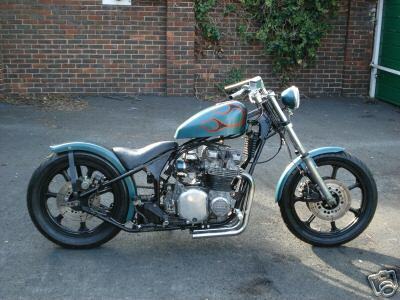 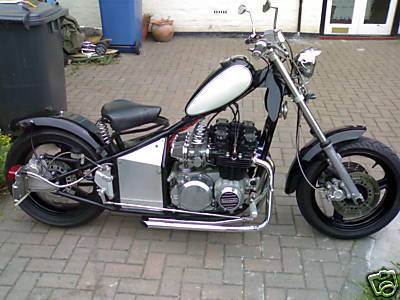 Built by Phil Piper's famous Choppershack (as seen on British biker build off). 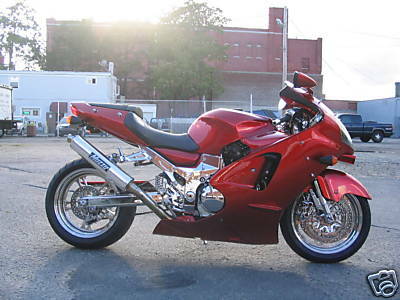 Wayne Rainey Tribute Kawasaki See Robb Report Motorcycling magazine June 2007. 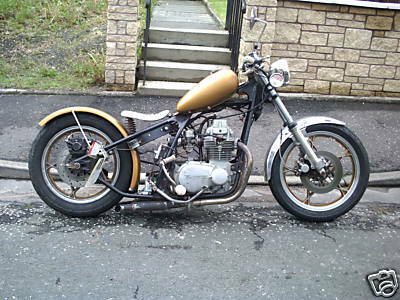 Built by RetroSBK.